Oh! Lord God, the Author of life and fountain of all wisdom, whose blessed Son accomplished the work of our salvation. Prosper the activities of the Men Christian Association of the Niger Delta Diocese and all the Churches therein, inspire us with the Holy Spirit to be fishers of men and make us to seek only that which will enthrone Jesus Christ as Lord. – Amen. To the glory of God, the body of Christ is growing in leaps and bounds. 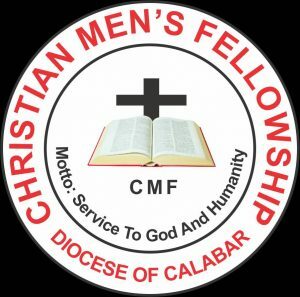 The Christian Men’s fellowship (CMF) formerly known as Men’s Christian Association (MCA) is undoubtedly one of the noticeable pillars in the vineyard of the Lord. Indeed, it is the umbrella body comprising every registered adult male member of the Diocese who is 40 years and above. These members originate from the stations, parishes, deaneries and Archdeaconries. The justification of this fellowship can be anchored on the biblical passage of proverbs 27:17, where God enjoins us thus, “iron sharpens iron, and one man sharpens another”. People learn from one another, just as iron sharpens iron. The book of Hebrews 10:25 also says: “let us consider how to stir up one another to love and good works not neglecting to meet together, but encouraging one another. 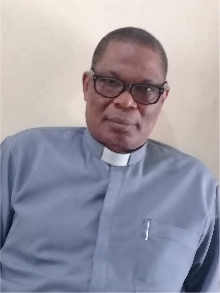 Although all registered adult male members of the Diocese are presumed to belong, membership is confirmed only after a formal induction by the Archbishop His Grace, The Most Revd Tunde Adeleye(JP). This induction takes place after intensive tutelage of the prospective candidates by the Diocesan Christian Men’s Fellowship Chaplain. One of the methods of increasing dedicated members is through evangelism in various forms; namely, retreat, prayer meetings, quarterly general meetings and above all, Annual Conference/ plenary meetings. During all these meetings and fellowships, men are taught and exhorted on both secular and biblical teachings, including science related disciplines of medicine, technology and even the trending on ICT, (Information and Communication Technology). In this regard, a sizeable number of men have testified good knowledge of possible health challenges including the field of ophthalmology (eye), prostrate, cancer, life after retirement, etc. Men have also testified benefiting from their knowledge on probate issues especially, the administration of Wills, and business management as well. The BBC English dictionary says “If you exploit a situation, you make use of it in order to achieve something or gain some advantages; you develop something for the benefit of all and sundry. This reminds us about this year’s theme: GO FORWARD (Exodus 14:16). Our bible records have multiple examples of the human difficult and seeming impossibilities before the Israelites of the old, exemplified by the danger of the Egyptian Army chasing behind them, and Red sea before them, yet God commanded them to GO FORWARD. Recall the question the angel asked Abraham and Sarah, “…..is anything too hard for the Lord” (Genesis 18:14). In all these things, we are more than conquerors; through him who has loved us (Rom. 8:37): “Behold how good and pleasant it is when brothers dwell in unity”! Men! Strong and doing exploits for God! Men of exploits, be strong!